If you’re looking for ripe, delicious and sustainable groceries, your local farmers’ market is the perfect place to shop. 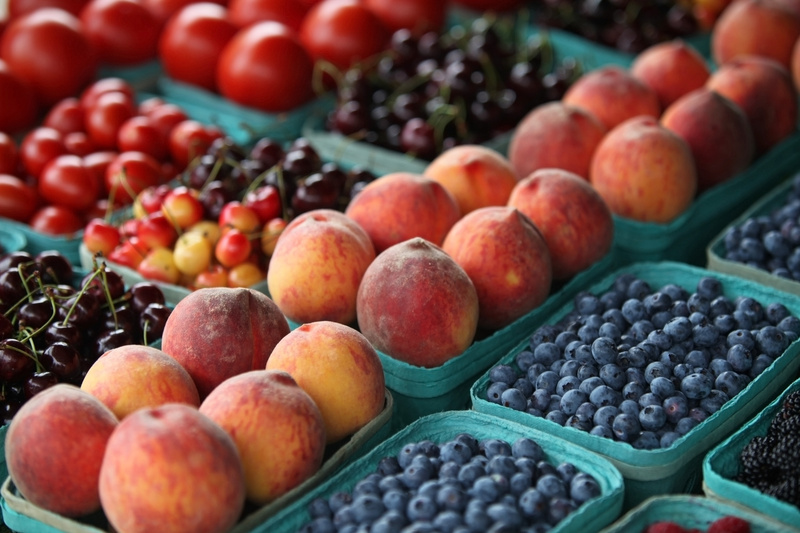 At a farmers’ market, you can find the best seasonal produce that grows in your area. There are many advantages to shopping at a farmers’ market. Here are five reasons to start shopping outdoors. Farmers typically sell their ripest and freshest fruits and veggies, which have peak nutritional value. You’ll also find plenty of seasonal foods that were grown in the environment and climate in which they should. The foods spend little time traveling from the farm to the farmers’ market, so you won’t have to worry about the food spending too much time in storage. You can also ask the farmers how to choose the ripest produce, as well as how to properly store the foods you buy. Farmers can also share which foods were harvested at the peak of their growing season. Many fruits and veggies you find at a supermarket are not sourced locally. Instead, they’re packaged and shipped long distances, using up valuable natural resources like fossil fuels in the process. Produce from farmers’ markets is from local sources, and doesn’t require extensive packaging or shipping. In that sense, foods from farmers’ markets are frequently more sustainable and environmentally friendly. Many producers at farmers’ markets are not certified organic, but that doesn’t mean the farmers don’t use organic practices. It takes a lot of time and money for farmers to obtain an organic certification, even if they already use organic practices. When you shop at a farmers market, you can speak directly with the farmers to learn about their farming practices and decide if those practices align with your needs. When you shop at a farmers’ market, you’re also helping support small, family-owned farms that produce high-quality foods. This helps farmers compete and stay in business, which supports your local economy. Farmers don’t have to spend a bunch of money packaging and shipping their products long distances. The farmers can pass their savings onto their customers, which often makes farmers’ markets more cost effective. Ready to start shopping? You can find a farmers’ market near you by visiting Local Harvest’s website. I originally wrote this article for the Zipongo blog. You can find the original post here.